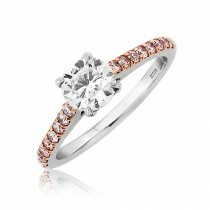 Natural pink diamonds are exceptionally rare and so attract very high prices. But, we have managed to obtain a selection of beautiful small natural baby pinks that when used along with a bigger white diamond vastly enhance the main diamond&apos;s look without vastly increasing its price. 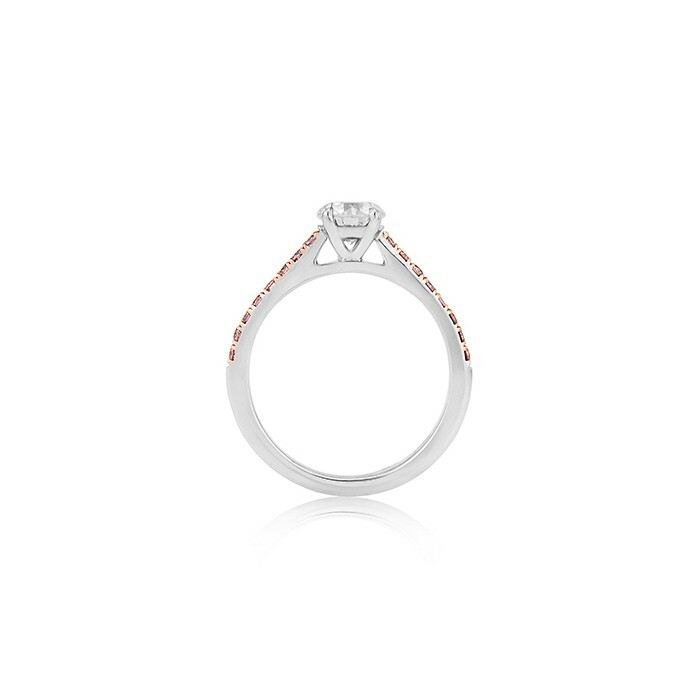 The centre stone in this modern engagement ring is a 0.70ct round brilliant cut certified G colour and VS2 clarity with a Very Good cut grade. The pink diamonds pavé set into the shoulders make this intriguing ring not only more beautiful but virtually unique as well. 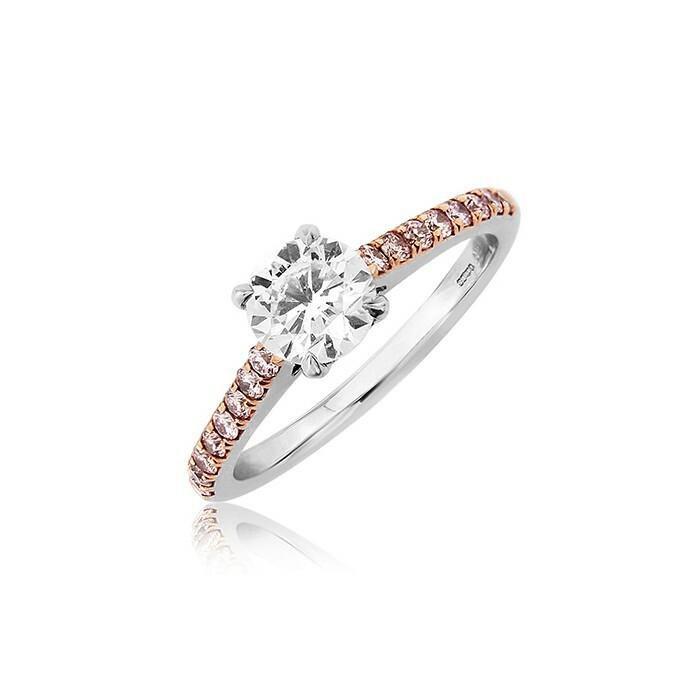 The ring is made in entirely in platinum except for the very fine rose gold claws which support and enhance the pink diamonds on the shoulder.